POTENTIALLY sending seasoned Neil Young fans running for cover, Swedish songstress Ida Sand delves into the prolific songbook of the seminal Canadian singer/songwriter in this collection of thirteen jazz-inflected soft-rock interpretations. But for those of us with only a vague recollection of Young’s influential early 1970s albums Harvest Moon and After the Gold Rush, or none at all, Sand’s soulful voice and piano celebrate selections from his classic output with attractive, sympathetic poise. Aided by a particularly polished core band – Jesper Nordenström (keyboards), Ola Gustafsson (guitars), Dan Berglund (acoustic bass), Christer Jansson (drums, percussion) – her guests include compatriot mentor (and producer here), trombonist/vocalist Nils Landgren. 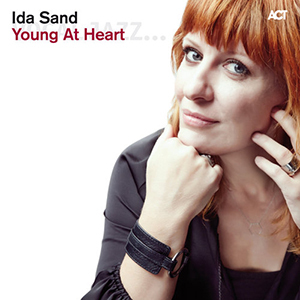 Ida Sand explains that she places at least as much importance on lyrics as melodies, and has sought to retain the integrity of each of the chosen songs. That said, the richness and pitch of her voice (influenced by the likes of Aretha Franklin and Etta James), when compared to Young’s high range, colour the sound in a markedly different way; and gone is the prominent acoustic guitar timbre so characteristic of that transitional ’60s/’70s era. But what does remain is the timeless, innate strength of Neil Young’s writing, communicated in fresh, contemporary arrangements. The album’s rock thread is maintained throughout by Ola Gustafsson’s beautifully sustained/effected electric guitars, as in opener Cinammon Girl – and there are frequent imaginative textures such as Dan Berglund’s crunchy arco bass and the wide tremolo of Jesper Nordenström’s Fender Rhodes (confirming that these are, by no means, insipid covers). Pondering the decades of musical ‘water under the bridge’ since these songs first saw light, there’s distinct post-prog, melancholic grandeur in Sand’s rendition of Hey Hey, My My; and the pop-soul ballad feel of Harvest Moon is a long way down the road from the original’s folksiness, especially with Per Johansson’s silky tenor sax interludes. Other highlights include Ohio, translating Neil Young’s rawness into a fuller, electronic sound embellished by Nils Landgren’s echoic, Groove Armada-like trombone; and the mellow, organ-sustained simplicity of Helpless evokes the remnants of the golden ’60s. Joni Mitchell’s Woodstock is infectious, with strong backing vocals, flamboyant wah-wah guitar and wailing Hammond; and Crosby Stills Nash & Young number Sea of Madness is carried well by Sand’s impassioned vocal and full band rock-out. Whether or not you have Young ‘at heart’, this is an unexpectedly fine release, and great fair-weather driving music – so retract the sunroof, turn up the volume… and hit the gas! Released 23 March 2015, details and audio samples can be found at ACT Music. may I am getting that type of info written in such a perfect approach?